The 2018 Los Angeles Auto Show hosted the debuts of the next-gen Toyota Corolla and the new iteration of the Mazda3. These two compact models are destined to compete against each other. 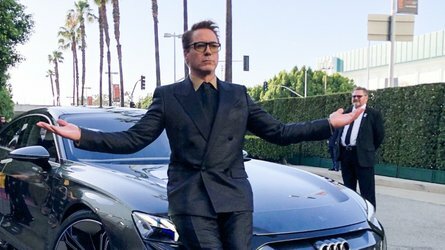 So, before either of them hit dealers let's see how they compare, given the info their respective automakers is divulging at the moment. While Toyota is fairly open about what to expect from the Corolla, Mazda is far more tight-lipped about what the new Mazda3 offers. 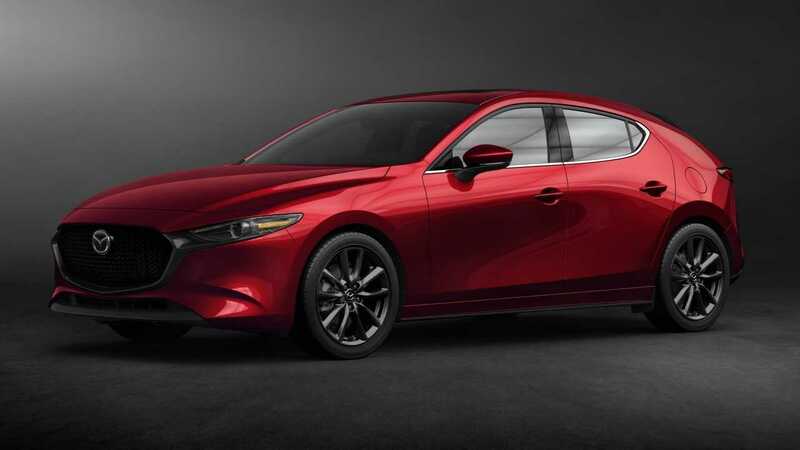 The Mazda3 will eventually be available with the automaker's new Skyactiv-X engine that will run at times in a similar method to a diesel by compressing a lean mixture of air and gasoline until it combusts, rather than using traditional spark plugs. However, Mazda won't provide specifics about the powerplant yet, including the displacement. 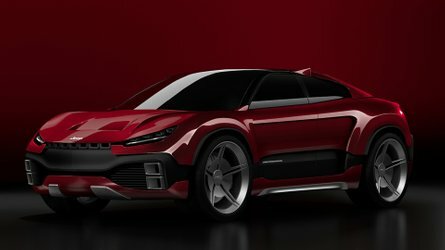 Motor1.com test drove a prototype of this mill in early 2018, and it was a 2.0-liter supercharged four-cylinder, hinting at a similar setup for the production model. Both models will also pack something special to lure customers into showrooms. 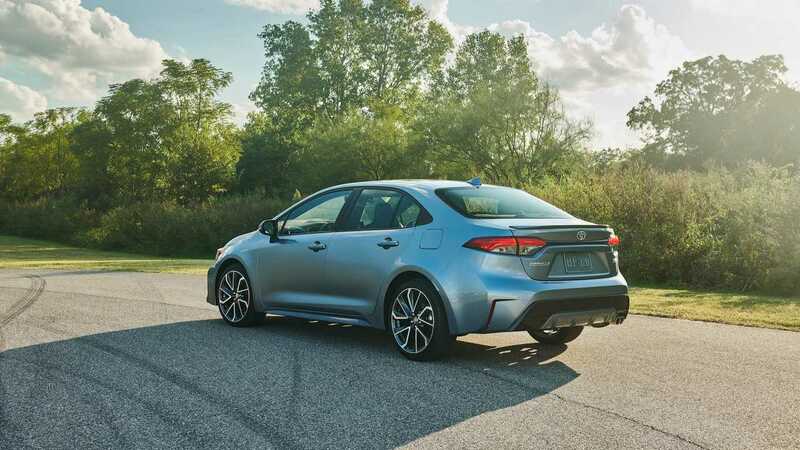 For the Corolla, this will be the hybrid model what will offer at least 50 miles per gallon combined fuel economy, and the electric drivetrain components will have no effect on interior space. Meanwhile, the Mazda will be available with all-wheel drive, which will provide extra traction for customers who'll be driving in slippery conditions. 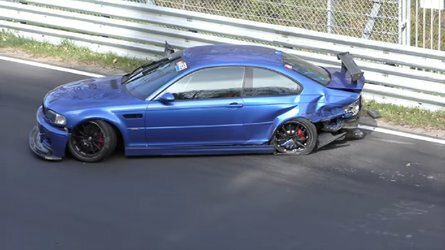 Buyers will possibly be able to get the system with a manual gearbox. Offering cutting-edge tech is a requirement to be competitive in the modern auto industry, even in the compact segment. 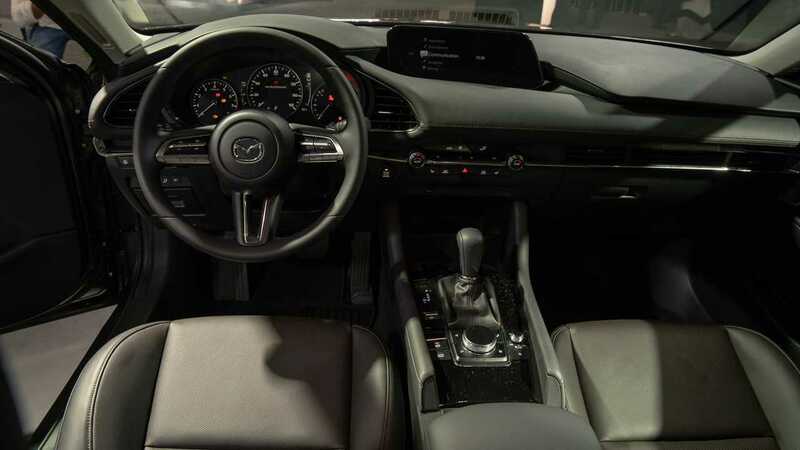 The Mazda (left) features an 8.8-inch-wide infotainment screen on top of the dashboard, and there's a rotary dial on the console behind the gearshift for controlling it. An eight-speaker stereo is standard but a 12-speaker Bose system is an available upgrade. Buyers can also order the automaker's i-Activsense suite of driver assistance features. The latest version of this system includes cameras that monitor driver fatigue, front cross traffic alert, and adaptive cruise control capable of controlling acceleration, braking, and steering at low speeds, like in traffic jams. The Corolla (right) comes standard with a seven-inch, touchscreen infotainment display, but this is only for the base L trim. All other models feature an eight-inch screen. The bigger one comes with benefits like the latest version of Toyota's Entune software that supports Apple Carplay and can function as a WiFi hotspot. Opting for the XSE or XLE grades also adds navigation and a nine-speaker JBL stereo, rather than the usual six-speaker setup. 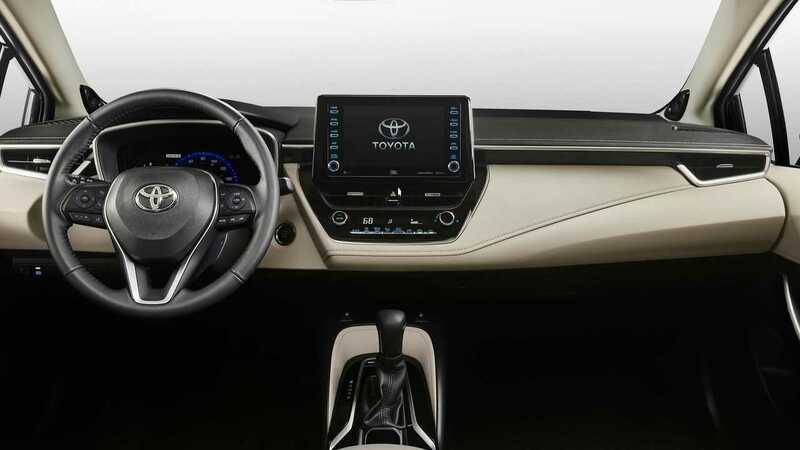 The Corolla also boasts a standard 4.2-inch multi-information display in its gauge cluster, but customers can upgrade to a 7-inch screen that functions as a digital speedometer. All Corolla models come with Toyota's Safety Sense 2.0 driver assistance tech. It includes pre-collision braking, adaptive cruise control, lane departure alert, lane keep assist, automatic high beams, and road sign recognition. Higher trim levels also add blind spot monitoring to this list of equipment. The attractiveness of a vehicle's design in the eye of the beholder. 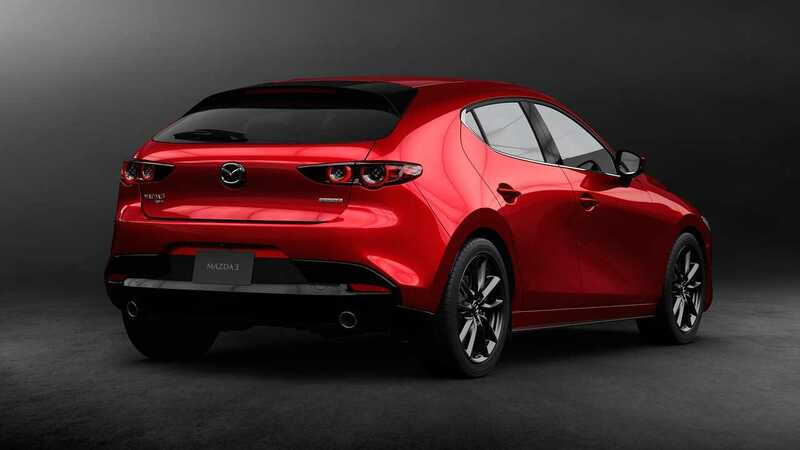 However when looking at the new Mazda3 and Corolla, it's clear that the folks at Mazda at least taking a more adventurous direction than their counterparts at Toyota. 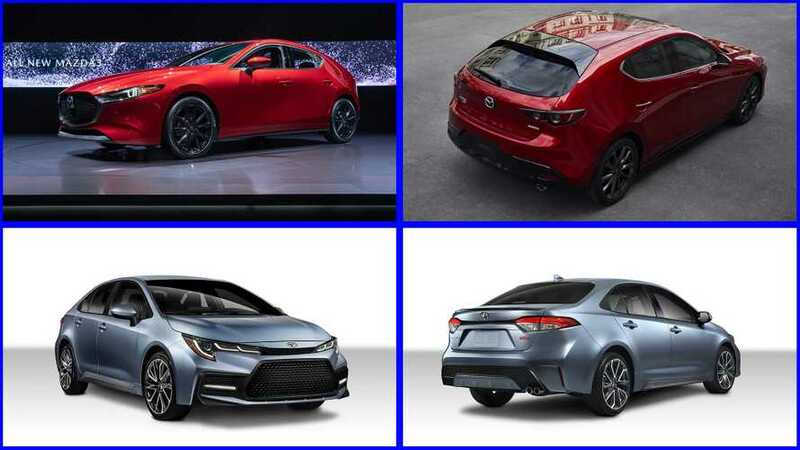 The latest Corolla is an evolution of the previous model. The front end maintains a familiar shape for the lower fascia but with a sharper hood and skinnier headlights. In profile, the two generations look similar, but the rear end continues the designer's move towards a more angular aesthetic. Conversely, other than still being available as a five-door hatch and four-door sedan body styles, the latest Mazda3 is a clean sheet design taking cues from 2017's Kai concept. The model features a low-slung nose with a massive grille and pointed headlights that give the model an aggressive appearance. The massive C-pillar on the hatchback might not be ideal for outward visibility during lane changes but gives the styling an impressive weight visually. 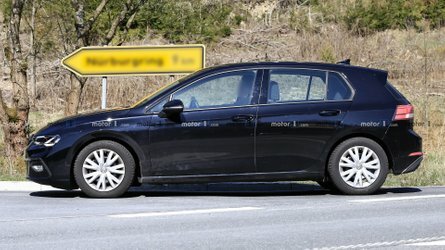 Like other details about this pair, we are still waiting for hard information about when the new Corolla and Mazda3 arrive and how much they cost. 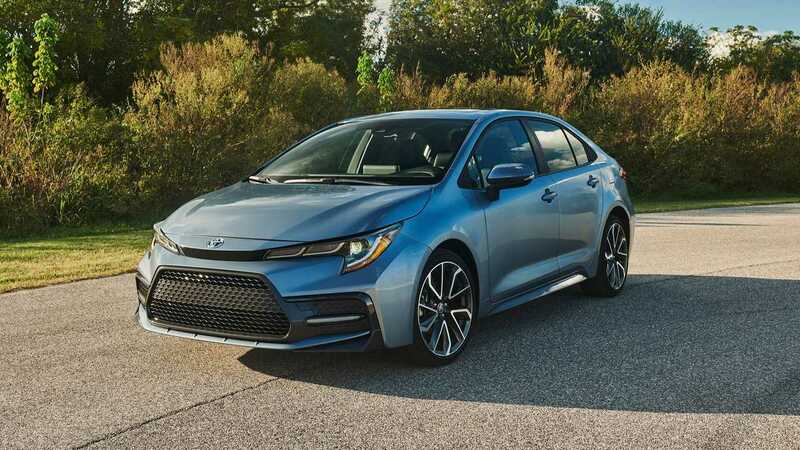 Toyota is a bit more open by announcing the Corolla arrives in early 2019 and starts at less than $20,000. 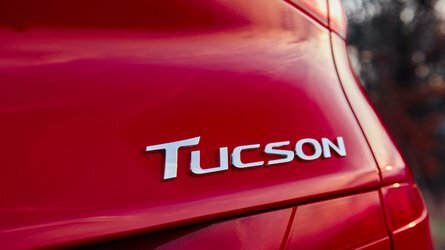 So far, Mazda only confirms its new model arrives in early 2019 but offers no details on the model's price.